An upright CBI officer pays a heavy price for taking on the evil Chief Minister involved in the murder of his predecessor and is subsequently forced to don another avatar to bring him to task. Have you ever felt excited about the thought of sitting on the top of a double-decker bus to see the world go by from the top, only to be rudely made to sit at the bottom! Namdamuri Balakrishna (NBK)’s latest offering, Lion, offers a similar experience to his fans. With nothing new to offer them, the film finally struggles to even cross the finishing line. The movie begins excitingly enough with the transformer blowing up in a corporate hospital and someone barging into a sinister mortuary, looking for corpses and you have NBK, known as Balayya to his fans, becoming the walking dead, literally, after a year’s coma. Then the movie unfolds to tell us NBK, who is being addressed as Godse, the CEO of some company, is actually Bose, an upright CBI officer who is trying to expose the murder of the Ex-CM committed by the current CM. The first few scenes let us know that the people he identifies pretend they don’t know him and strangers seem to become his friends and even his parents. So who is Godse and who is Bose, you wonder. While we expect some really thrilling screenplay to unfold on the Bose-Godse transformation, instead what we get next is a stale 10-minute comedy scene featuring Mahalakshmi (Trisha) pulling a prank on Bose. The scene looks like a game two seven-year-olds play to keep themselves engaged. The story could have made for a neat thriller, but with completely inane flashbacks, it just loses steam. To make things worse, even the story lacks focus. Why exactly Bose’s parents have to pretend they don’t know him is unclear and how the CBI finally crack the confidential file – that exposes the CM – lacks clarity. And the concept of two girls vying for the same man with both being equally dumb is so 1990s. Such ancient cinematic cliches don’t help the film’s cause at all. In fact, debutante director Satyadeva succeeds in engrossing us only sporadically. One such sequence is how the CM is bumped off using his own death news to create a panic stroke, soon after he suffers a massive cardiac attack. The idea of hacking the hospital’s communication network to do this is a novel attempt and one of the more thrilling bits of the film. NBK looks jaded but in a way that is justified because he is shown to be suffering from memory loss. As the CBI officer, he looks far more convincing and more in his element. If only he was given more scope to deliver some solid punches and some more whistle-inducing moments…Trisha looks pretty but I would attribute it to the lovely pinks and orange hues she wears. Radhika Apte was the lucky mascot of NBK’s last hit, Legend, and her role in Lion seems like an .ext file of that template. She does what she did in Legend, as if on autopilot mode. Mani Sharma’s music is just about functional. Maybe he was just not inspired by the script. The songs neither have the classy touch (that Mani specializes in) or the massy touch that NBK’s songs are known for. Overall, Lion fails to roar, hunt or scare us. For now, NBK fans will have watch re-runs of his Simha series (like SamaraSIMHA Reddy, NaraSIMHA Naidu or SIMHA) or just lie-on and wait for his next offering and perhaps watch The Lion King to get over the disappointing feeling of this one. 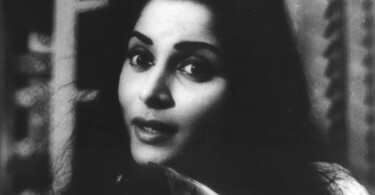 How A Buffalo Changed Waheeda Rehman’s Destiny!